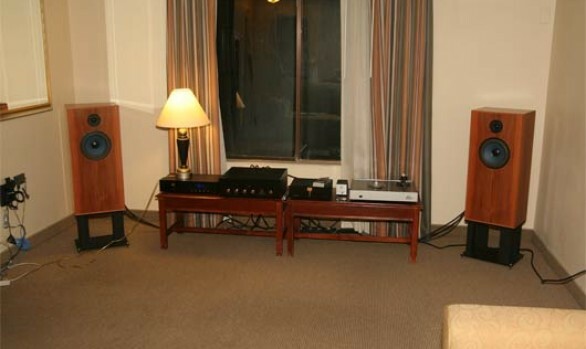 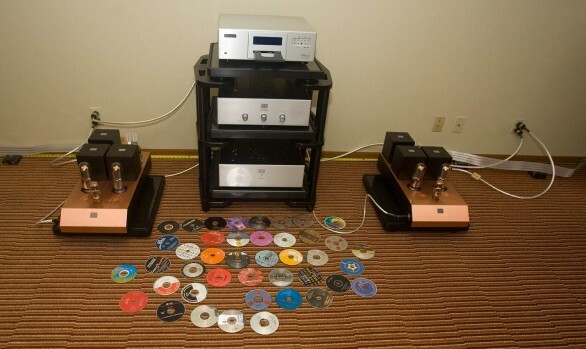 Our 100% Audio Note room with AN/E SEC Silver Signature loudspeakers and Kageki amplifiers, M8 preamplifier, CDT Three transport, DAC 4.1x Balanced, and TT1 turntable with Arm 2. 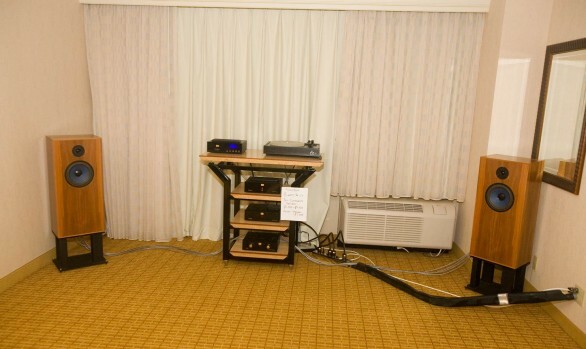 Acoustic Dreams equipment rack and amp stands. 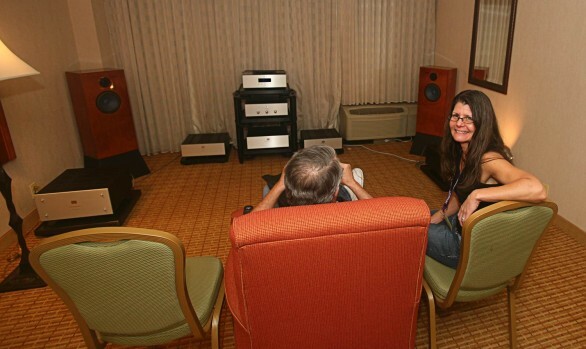 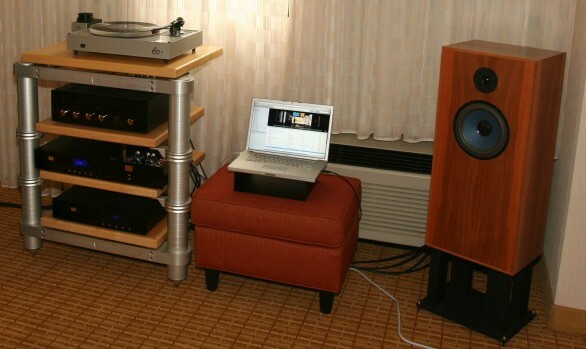 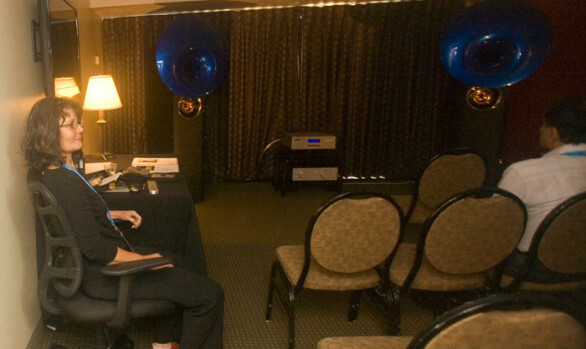 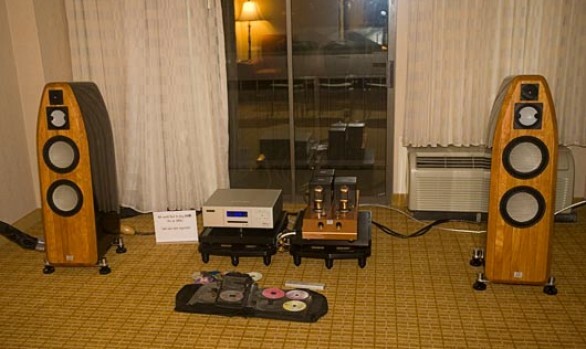 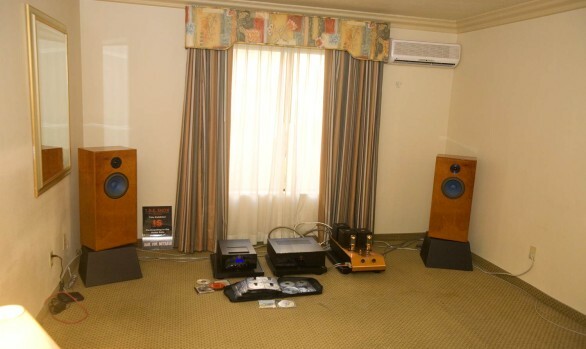 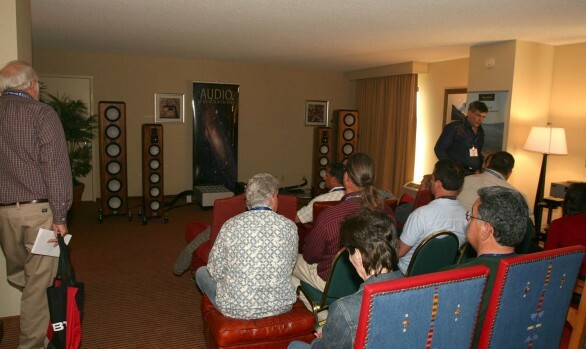 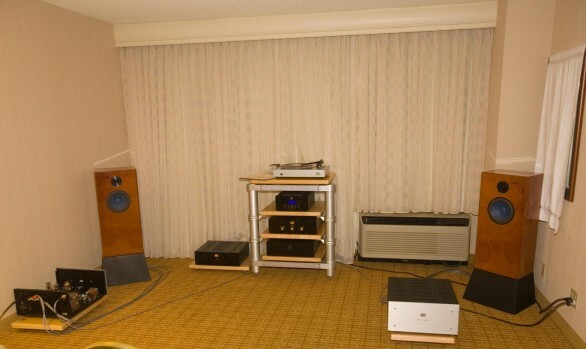 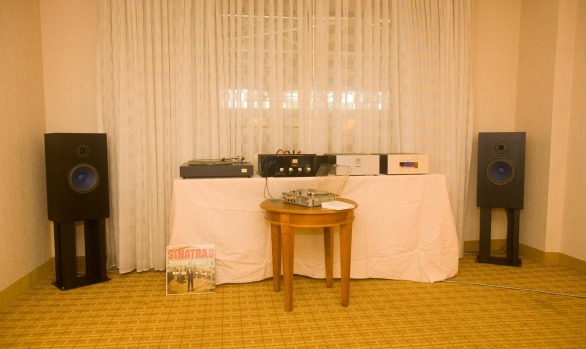 The Audio Note room seemed to be an excellent example of just what can be done with Audio Note equipment, and we and the show goers seem to be very happy with the sound.